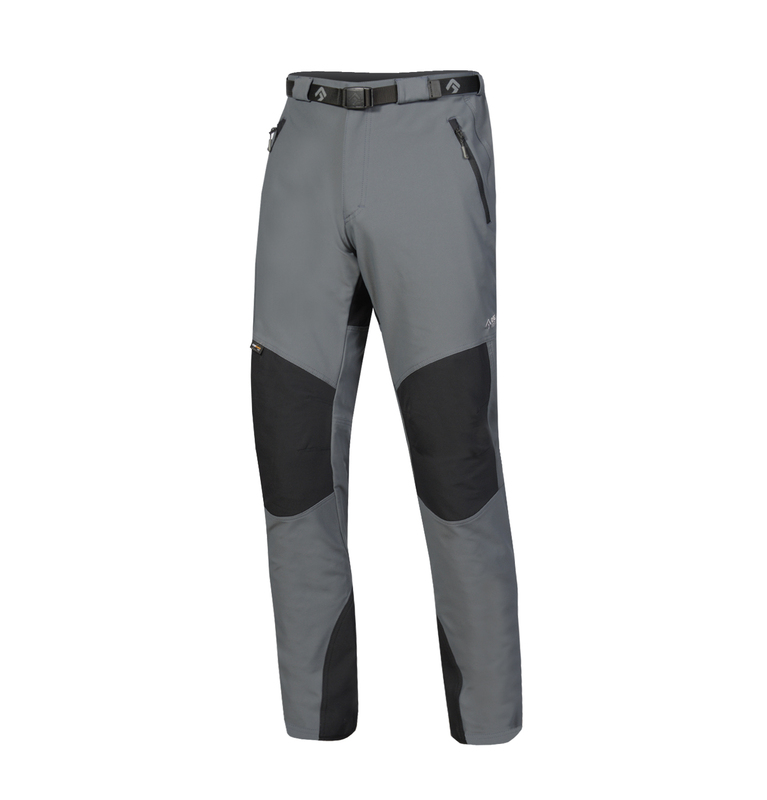 Pants BADILE , Made in Europe - Direct Alpine s.r.o. Popular pants for all-year-round use. 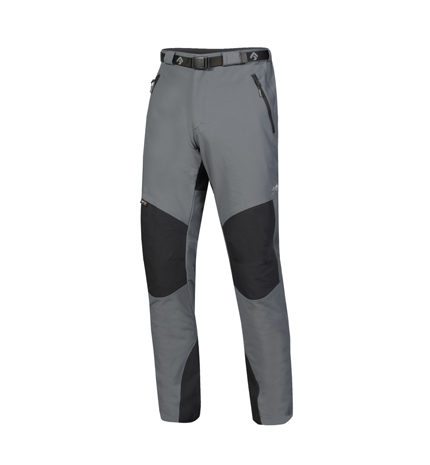 Ideal pants for mountain hiking, mountain climbing, hiking, ski alpinism and all outdoor activities. Fitting anatomical cut. Highly elastic and resistant fabrics. Hybrid combination of materials with fast-dry (vapour transportation) and thermo-insulating adjustment (increasing body temperature). Design allows omitting and repositioning of some seams to eliminate their possible damage. 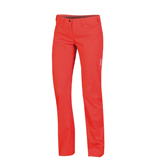 These have long been DIRECT ALPINE‘s bestselling technically designed pants. Very popular and a proven favorite, our customers fittingly refer to them as a “second skin”. Partially elastic waist adjustable with a belt and buckle. Two front pockets and one side pocket, easily accessible even when wearing a harness. Main fabric together with Coolmax® yarn (vapour transportation). Simple leg ends for stretching over boots (maybe even over ski boots). Shaped knees and back sitting section made of abrasion-resistant fabric Cordura with Thermolite® (insulation fabric). 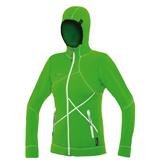 An innovative ladies sports jacket for increased warmth and comfort. Suitable as a second layer or lightly insulated top layer during spring or fall. Soft, functional, high- stretch material. Improved fitting, anatomically precise cut with technical elements which don‘t restrict movement. It uses Polartec Power Stretch Pro, one of the highest quality materials in its category, has superb insulation properties, high durability and long user life. It‘s soft, functional, and highly stretchable for maximum comfort. Thermo-protective technical jacket with highly insulating Climashield (Made in USA). Effective hybrid combination of two Pertex materials. Shoulders and hood from resistant Pertex Endurance and the rest from lightweight Pertex Quantum. Filling – well known from high quality sleeping bags – provides better thermal insulation properties than any other synthetic fleece. The jacket effectively combines two insulation to ensure the most effective thermoregulation and minimal weight. Using high-quality materials, sophisticated cuts and excluding all irrelevant details, we developed a lightweight, highly functional jacket for extreme weather conditions. 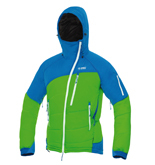 Great for mountaineering in the winter, ice climbing, mountain skiing or expeditions. This model was developed with a strong emphasis on functionality, anatomy and simplicity, which eliminate malfunction and are important requirements for the most demanding activities. Women’s universal light trousers with an interesting tailored cut. Lighter functional stretch material. Comfortable practical trousers for a wide range of uses. Durable loose climbing 3/4 trousers with a casual cut. Durable robust material.